You want different? well here is it, a 4,5 or 6 metre dome tent in a wing style shape. 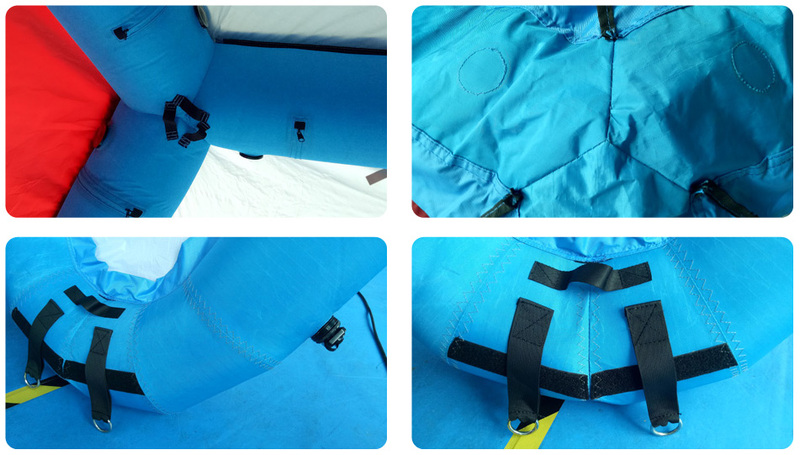 This is a sealed inflatable, meaning you inflate it once with the provided air pump and from simple lock off the cap and the tent remains inflated until taken down. 4, 5 or 6 Metre variations available. Sealed inflatable doesn't require constant air. Packs into a neat carry bag for transporting to events. Over pressure valve prevents over inflation. Tabs for tiedown ropes and ground pegs.